Once the rice has been harvested and dried, it is then time to mill it (a processing operation). While time and other external factors were very influential in all the previous stages, the quality of the grain very much depends on the miller’s work. Separating the grain from the chaff and milling it until it is white enough is no easy task, particularly when this is done according to traditional, natural methods without using chemicals. This, the most delicate and most demanding task we perform, requires our total attention. Time comes to a halt and we set about our work passionately. This is the long-awaited moment when the quality and splendour of the grain become apparent. This task requires the use of a compact mill that is traditional yet of modern manufacture and features natural rubber rollers for shelling the rice and a stone grinder with a natural rubber braking system for whitening it. Once the grains are white and have been left to cool for a while, we select them according to colour in order to remove any less-than-perfect grains. Lastly, it is vacuum packaged, albeit using traditional methods, in order to ensure that when consumed all its qualities are preserved as if it had just been processed. This process, which is performed to stringent standards every week, is what differentiates us significantly from major rice-processing concerns. 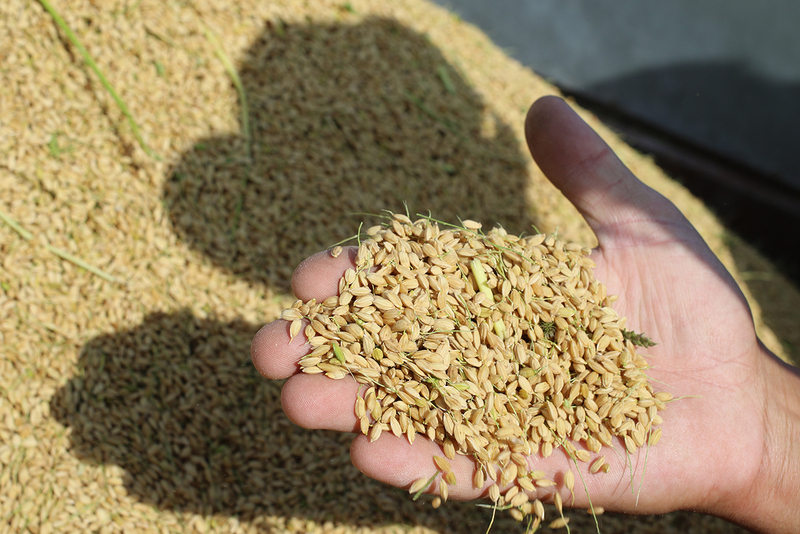 We offer our clients freshly produced rice with a unique flavour and texture. That is the aim of our work.